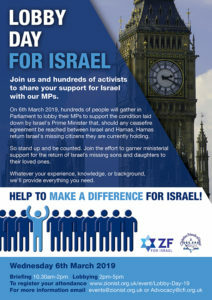 Don’t know your ‘HaBayit HaYehudi’ from your ‘Yesh Atid’? 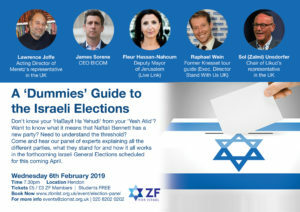 Want to know what it means that Naftali Bennett has a new party? 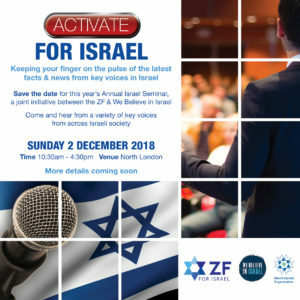 Need to understand the threshold? 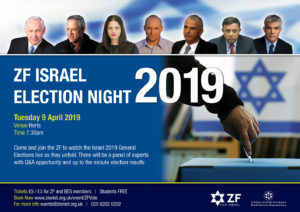 Come and hear our panel of experts explaining all the different parties, what they stand for and how it all works in the forthcoming Israeli General Elections this coming April. 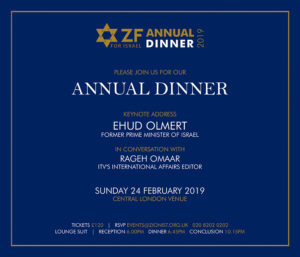 The ZF Annual Dinner 2019 with keynote address from Ehud Olmert, former Prime Minister of Israel, in conversation with Rageh Omaar, ITV's international affairs editor.